The Brand New South Park Video Slot With 25 Free Spins! South Park is a brand new video slot from Net Entertainment, and at BetVictor Casino it is game of The Week which means 25 free spins!!! 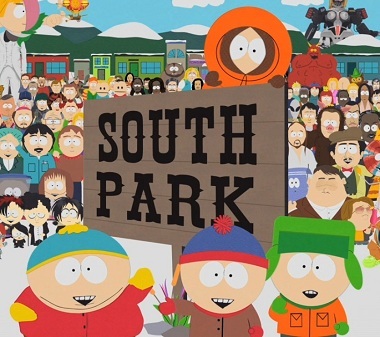 Head on down to South Park for cartoon comedy and a bounty of bonus features with BetVictor Casino's Game of The Week – South Park! Featuring regular cameos from some of your favourite characters, authentic video clips and a range of innovative new bonus features. This slot has something for everyone whether you’re a newcomer or a lifelong fan of the show. It is also available on mobile! And there are more news from BetVictor Casino: Live Roulette as it has never been seen before, with multiple camera views offering a playing experience unlike any other online live game. Follow every bounce and movement of the ball heightening the excitement and suspense of every spin, followed by a slow motion replay in HD video, getting players closer to the action than ever before. Furthermore, the largest jackpot slot available at BetVictor Casino currently standing at over £4.1MILLION! Join Odin, Thor and Loki as you enter Asgard, the Hall of Gods – Smash through enemy shields with Thors mighty hammer to reveal random prizes in the bonus round, meet the Midgard Serpent via Expanding Wilds and earn free spins for landing 3 or more of Odin’s Ravens on the reels! Finally we are currently in the last week of the 500k September Smasher and there has been individual players winning over £10,000, plus plenty of other cash prizes each week of the draw! There’s still £110,000 up for grabs before the end of the month so start spinning for a chance to land the jackpot and plenty more prizes!